The first time I heard someone talk about Digital Nomads, she referred to them as super cool people and different from anyone else in Chiang Mai. They were not the typical grumpy old guys, the bored retirees, nor the sexpats, not the yoginis and yoginas with their long hair and idealistic world views and not the backpackers who need to save every penny to stretch their stay a bit longer but eventually disappear. The feeling I got at first about Digital Nomads was almost that they were the new Übermensch: young, active, ambitious and cool, and I have since heard many people claiming that they made more friends amongst Digital Nomads in Chiang Mai than they ever did before in their home country (which makes me wonder what kind of friendships they value). So I got interested, I started to go to typical Nomad meetings: the Friday afternoon Nomad Coffee Club meetings, the Tuesday lunches, a work shop at TCDC and so on. What I found is that there is no such thing as the Digital Nomad Community, that some are cool but surely not all of them, and that most Digital Nomads fall prey to the same desires and mistakes that defines the rest of mankind. Some people are actually proud to call themselves a Digital Nomad, but others don’t and prefer to use other names such as Location Independent Entrepreneur or don’t give themselves a name at all, but somehow over the years the mainstream community has adopted the term Digital Nomad whether that really covers what a Digital Nomad is or not. Truth is, many Digital Nomads aren’t that nomadic after all, they tend to stay in developing countries and cheap places for very long periods of time, so are they really nomadic or are they settlers? Some 'nomads' stay on for years, which reminds me of the hippies of the sixties in countries like India. Many 'nomads' don't even want to do a visarun or turn an obligatory trip into a great travelling experience by exploring new places in Southeast Asia, so perhaps they are not so nomadic after all. Then, are Digital Nomads really entrepreneurs? Well, if after taking the life-changing decision of quitting a 9-5 job and 'taking the Plunge to Chiang Mai, you need help during every step of the way to settle down in an easy city like Chiang Mai, from finding an apartment to renting a motorbike, and you already get stuck at opening a bank account then perhaps the name Digital Nogut, as some say, does serves you better. I make some of my money online but I wouldn’t call myself a Digital Nomad although I'm getting into an airplane every month. If I’d have to explain to someone what I'm doing I’d say I’m doing online work, basically that’s what all Digital Nomads do whether you’re a freelancer or a web designer or a drop shipper, you’re simply working online and if you’re lucky you can travel once in a while, but at least the more modest term Working Online doesn’t pretend that you have entrepreneurial skills or that you’re constantly on the move. If the dream all Nomads believe in is Money and Freedom, then one of their Bibles is The Four Hour Work Week by Tim Ferriss. The stereotype picture of Heaven is a laptop on a beach and conversion to Digital Nomaddom is called taking the Jump or the Plunge. Is Digital Nomaddom the new religion of the 21st century? Well, perhaps not a religion but it does show signs of a (cult) movement and there is a remarkable consensus of opinion amongst those calling themselves Digital Nomad. About the Four Hour Work Week, I personally dislike the idea of such a short time of work. I tried retiring a few years ago but after a few months I realized it was dead-boring and I found a lot of pleasure in work, so what's the point of making it so short? But if you're coming from a cold-country-cubicle I do understand the attraction because I've been there too. Let’s be real: if you really want to be a successful Online Worker, four hours are not going to do it, especially not in the beginning. You need to invest a lot of time and effort to set up your online business and the moment you think it's stable you've got to be on alert because there are always new competitors appearing on the horizon. So, the idols of Money and Freedom are blinking Digital Nomads in the eyes, they are working their way towards this goal but in doing so, they often don't realise that they have become less free and more tight to money than before. They lock themselves up in a co-working space or a room staring at a screen for hours, they work for a dime to make some kind of a living but the truth is, most of them can only live in cheap developing countries and wouldn't be able to stay longterm in a country in the developed world, where they originally came from. Digital Donuts quit their job to be free from a boss but now have to please Google or eBay to get more clicks, a relatively freedom after all. If you just arrived and hoped to merge in with the Digital Nomad Community in Chiang Mai (after all the number one hotspot of Digital Nomads in the world), you might at first feel disoriented or even disappointed. With an estimated 6,000-7,000 (!) of Online Workers spread out over the city, there is actually no such thing as the Community, there are just thousands of individuals who may or may not feel a sense of unity, need for sharing and support. Truth to tell, most Digital Nomads I met are simply OK people, they are young in their mind and they have some drive or skill, but that in itself doesn't mean that there is a deeper click and that you can immediately become real friends. While most Digital Nomads are ok when you meet then individually or in real life, this is not the same for the online communities of Digital Nomads in Chiang Mai, which aren't always the positive, supportive platforms of exchange they could be but are often plagued by keyboard warriors whose cynical complaints not even remotely remind of the entrepreneurial spirit that Location Independent Entrepreneurs should harness. This is especially so on social media such as Facebook, which somehow stimulates people to nag, and especially in Chiang Mai, where a lot of foreigners remain stuck in a phase of complaining. The diversity between Digital Nomads is large. I guess the vast majority of Digital Nomads in Chiang Mai are scrambling to make an income of perhaps USD 600-1,000 per month. Then, there are a small number of star players who are really on top of their game and make a sizeable income. An example is Johnny FD whose monthly income reports suggest he's cashing in around USD 20,000 per month. These extremes probably mark the diversity of Digital Nomads, not just in income but also in lifestyle and attitude. The majority of Digital Nomads are wanna-be's, they're making a little income and they are wondering how to cash bingo. Nomad Coffee Club meetings, for example, can be inspiring but overall I found it's a wanna-be atmosphere with people who are trying to figure out how to get rich but actually lack essential business skilss. I think it's a great thing in itself that people take the Plunge, come from the other side of the world and try to set up their online business. Chiang Mai is excellently positioned to offer this kind of breeding ground for starters. But because Nomads are so focused on making money, the atmosphere can be less pleasant than with other people who enjoy the relative certainty of a steady job. When I worked in an office, we didn't talk about money, we talked about customers and job content, we didn't worry about money and we could spend it. When you're desperately trying to make an income, money can become such a big issue, you can become more obsessed by it than people in the financial sector and reversely you can become stingy or don't talk about passion anymore. 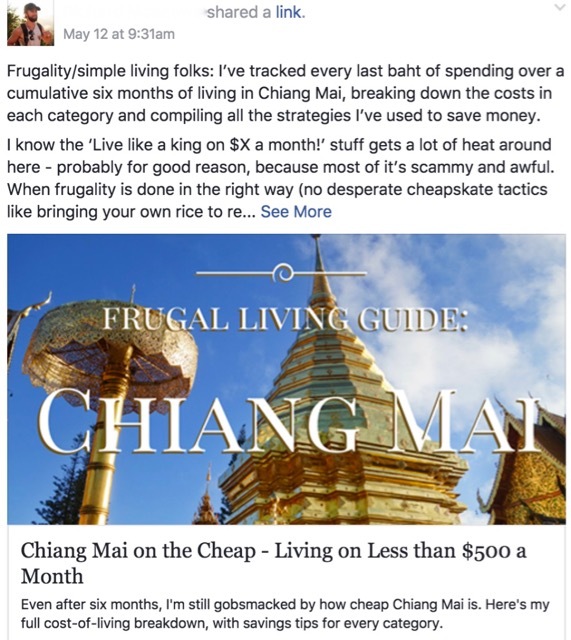 Every 1-2 months or so, yet another Nomad posts his blog about how to live as cheap as possible in Chiang Mai, almost bragging that he did it even cheaper than others, saved every penny even on a street noodle and never gave a tip. Some of them even discuss whether or not to pay a fine at the police office or just return the scooter to the rental shop and let them have the trouble. Again, these people don't represent the entire group, but they can affect the overal image to become that of Digital Low-Lads rather than Nomads. 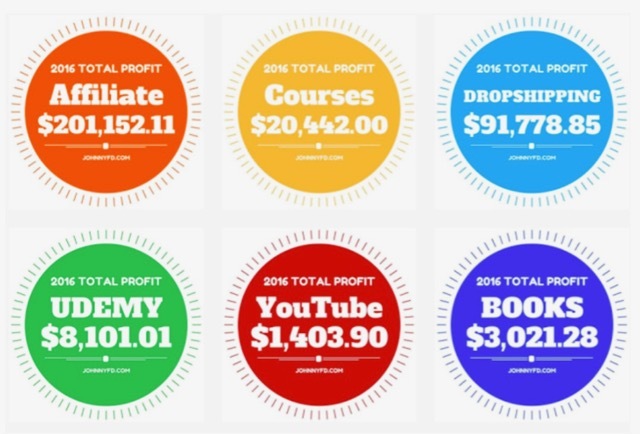 And at the other end of the extreme, some Nomads have an interest to show how much they are making every month. How much of all that reporting is bragging and how much is real content is up to you to decide, but the two extremes couldn't be farther apart: one is the farang-kee-nok (stingy foreigner), the other embraces the mindset of affluence, a term he probably learned to use later. With these two extremes in place, on the one hand a large base of wanna-be's trying to make their way up and on the other hand a handful of idols, it's hard not to see the shapes emergengin of a pyramid which can sometimes become a pyramid scheme. I've witnessed such schemes in the nineties, mostly in network marketing organisations where the success of a few people is (almost) entirely built on the beliefs and hopes of a large group of followers. In Thailand, the same network marketing groups have gained ground in the past few years, because they can still find enough stupid people to recruit here. With Digital Nomads, it's the same standard formula: 'look at me, I'm travelling the world and having a great time, making money as I sleep and travel, do you want to be like me?, then read my blog or better buy my eBook and I'm sure with the right effort you'll be able to do the same'. Clearly, not every successful Digital Nomad is a pyramid schemer, but it's almost boring to see how many of them have their own blogs and sites aiming to show others how to be successful while they've hardly set up their own business. In this sense, Digital Nomads fall into the same traps as newbie travelers who wanna-be travel bloggers and newbie yoga students who wanna-be teachers. Because of their numbers, an estimated 6,000-7,000 in Chiang Mai, Nomads do contribute to the local economy mainly as longer-term tourists. On the downside, partly due to their lifestyle, making their living online and nomading, many Digital Nomads lack some involvement with local life and local communities in Chiang Mai. They don't have local colleagues and they hardly need to interact with local people, other than in the position of a consumer. If a Nomad is a real nomad, he's supposed to keep travelling and then often he doesn't really root deep enough to get to know local life. Also, despite using Thai facilities and enjoying the lifestyle in Chiang Mai, there is not yet a great sense of giving back amongst Digital Nomads. At the same time, what can cause resistance with other (long-term) foreign residents in Chiang Mai is some Digital Nomads' attitude to pretend to know better, or the occasional looking down on 9-5 office workers. Remarkable, and worrying in a way, is the common belief amongst Digital Nomads in the myth that Nimmanhaemin area is the one and only place in Chiang Mai to consider living in. Propagated by some longer-term Nomads and adopted without real further in-depth research of Chiang Mai by newbies, this has led many Nomads to belief that Nimman is the only place to be and it has made Nimman the epic centre of Nomad life, at least for those who are most outspoken, I think the more silent Nomads do enjoy other areas as well. Most co-working spaces are now located around Nimman and large groups of Nomads have flocked together in one area like sheep. One of the most ridiculous Youtubes I've seen in the past few years is by yet another self-proclaimed "Nomad Guru" who, with his Western mindset, unsurprisingly concludes that Nimman is simply best to live in Chiang Mai. In this video, even considering another neighbourhood such as Santitam is presented as a mind-blogging idea. This great consensus and lack of real independent research suggests again that many within the Digital Nomad Community are Followers rather than Thought Leaders, and more like Online Workers rather than Entrepreneurs. Besides not integrating deeply with local people, Digital Nomads fall into another few common traps. Like yoga practioners dreaming to become a teacher after their first yoga course or even do a teacher training right in the beginning, and like travellers hoping to become successful bloggers traveling the world and being paid for it, so Digital Nomads often dream to become a Nomad Guru teaching others how to make money online while they haven't fully figured it out themselves. The truth is, of course, that not everyone can become a Guru and it not only depends on skills and teaching ability but also on beliefs. 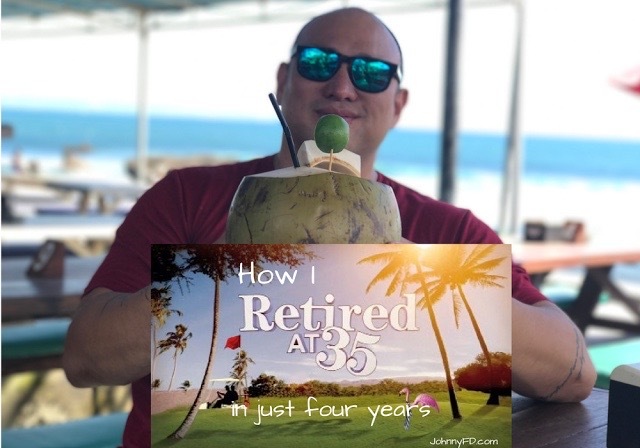 An example of that is Johnny FD, whose income reports suggest that most of his income comes from selling courses to people who want to live like him. There is some controverse about Johnny FD's reputation, especially on more independent sources such as Reddit, but disregarding his skillset and teaching ability, Johnny FD clearly has an interest to picture himself as the successful Digital Nomad travelling the world and posing on every beach with a laptop as the super idol of wanna-be Digital Nomads. In other words: Johnny FD's success depends on how many people believe he's successful and surely this should remind you of pyramid schemes. You can argue about the nature of this kind of business, whether it's shady or not, and about what would be the perfect ethical profile of a Digital Nomad: is it the honest worker who 'moves real stuff to create added value' or the smart player who sells whatever sells. Here's an example of Digital Nomads struggling with identity and ethics. Clearly, with its numbers rising, the Digital Nomad community itself has become a market for Digital Nomads, so Nomads try selling to Nomads sometimes as a clandestine economy within an economy in a country like Thailand, and not always with "pure" motives. Digital Nomads have become a new and valuable community that enriches the landscape of Chiang Mai. Their involvement with local communities could be greater, though. Although there is a large number of Digital Nomads in Chiang Mai, there is not one united community, rather there are various groups and mostly individuals doing their own thing. Not all Nomads are entrepreneurs, many are followers and there is a dominance of mainstream thinking. There is a huge income disparity between Nomads and a difference in attitude and lifestyle. The epic centre of Nomad Life has established itself in and around Nimmanhaemin area, at least for the outspoken Nomads. To conclude, Digital Nomads fall into the same traps as all other people: greed, hate, love, the searching for identity and the seeking of meaning in life. Next: Do Digital Nomads need a Work Permit? I didn't like the overall negativity of this post but I must admit that you made many good points. Before I became a digital nomad, I thought that other DNs are also very ambitious, business-minded and driven persons like Tim Ferriss is or like I am. However, when I visited my first DN-conference, I realized that many people had a very different mindset than what I had expected. Their goal was just to work less and be able to travel the world. Personally my goal is to be able to work +80 hours a week. So far, I haven't had a discipline to do that usually but that's my goal. That's completely different than the usual "Digital Nomad mentality". Anyway, I think we come to the same conclusion like many other things: There are many kinds of people in every community. Some people are driven and ambitious while others just want a comfortable life. Great article, you've hit the nail on the head with many of the growing problems I see in the "nomad" community, after nearly 9 years traveling in those circles. I've personally grown incredibly tired of all the guru facades and the pyramid schemes, and after partnering with Johnny 2 years in a row to (try to) help give his summit a more professional and ethical foundation, I can say now with certainty that Johnny absolutely lies about his numbers - I discovered he had lied to me for MONTHS, he has lied publicly on his blog about the cost of our venue at Le Meridien hotel (just a small $7,000 typo, I'm sure! ), he "fudged" the accounting on our 2017 event by over $4,000 dollars he didn't want to share with me (innocent mistake, I'm sure), and he's still lying to flocks of naive new recruits today. The guy even put himself at the top of a "Digital Nomad Hierarchy" PYRAMID, on the bigscreen, onstage in front of 300 paying attendees. No shame. I pray people will remove the rose colored glasses and see him for the dangerous villain he truly is, before he deceives too many more ambitious young people. Chiang Mai deserves far better.